Set amongst 400 acres of woodland, each lodge at Center Parcs Longford Forest has been specifically designed with families in mind. There will be three types of lodges to choose from - Woodland, Executive and Exclusive - all of which will offer the space, comfort and privacy that families desire. There will also be an additional 30 apartments, suitable for couples. 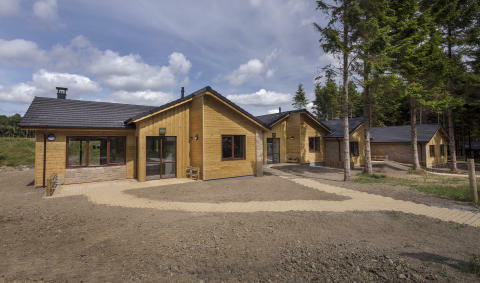 As the launch of Center Parcs Longford Forest nears, it is expected that three lodges will be completed per day going forward, with 850,000 hours of labour predicted to be spent building and completing the accommodation in advance of the opening in 2019. Lodges will be clad with 300km of certified timber and 4,600 doors and 3,200 windows will be installed prior to the build being completed. Finishing touches will come during the fit-out phase, which will see around 5476 pillows fluffed, 1369 hairdryers placed, 2734 dining chairs tucked and 2586 wine glasses polished, ready for families to enjoy. Center Parcs Longford Forest will open in Longford in 2019, offering a new, luxury destination for families to spend quality time together. For more information, visit www.centerparcs.ie. The Longford Forest resort will include 466 luxury lodges and 30 stylish apartments which will accommodate up to 2,500 guests in a safe, peaceful, and car-free environment. Guests will be able to enjoy more than 100 family activities – both indoors and out – a range of restaurants and shops, and our famous Subtropical Swimming Paradise, which will be Ireland’s biggest indoor water park as well as our relaxing Aqua Sana spa. 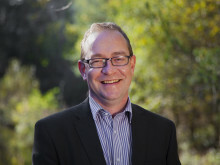 Center Parcs currently has five destinations across the UK; Sherwood Forest in Nottinghamshire, Elveden Forest in Suffolk, Longleat Forest in Wiltshire, Whinfell Forest in Cumbria and Woburn Forest in Bedfordshire and as the leader in the UK short break holiday market, welcomes more than 2.2 million guests each year, with 96% of guests expressing an intention to return.